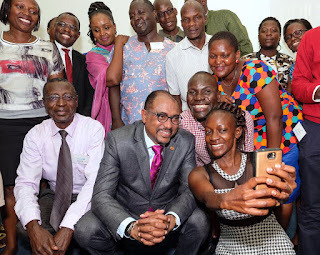 Civil Society Organisations (CSOs) have pledged to continue advocating for strong visible partnerships with government and the private sector among other stakeholders to end HIV/AIDS by 2030. Speaking on behalf of Civil society at a CSO dialogue meeting with the UNAIDS Executive Director, Michel Sidibe, Canon Gideon Byamugisha said CSOs pledge to advocate for strong, visible partnerships with government and private sector in terms of policy analysis and formulation, strategic planning, practical programming, human resource training, messaging and communication, domestic funds mobilization, research, documentation and reporting. He added that to achieve the above, CSO will rebuild, re-energize and resource a strong social-cultural faith sector’ movement of active citizens, empowered youth, engaged men and women and of effective community level leaders. 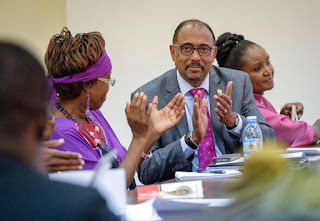 They also intend to raise CS focused resources to the tune of 115 billion to counteract and reduce stigma, shame, denial, discrimination, inaction and mis-action that is associated with HIV and AIDS related infections, transmissions, illnesses and deaths. Sidibe was happy about the meeting and promised to inform president Museveni about civil society’s concerns and recommendations towards achieving the 909090 UNAIDS ambitious targets. 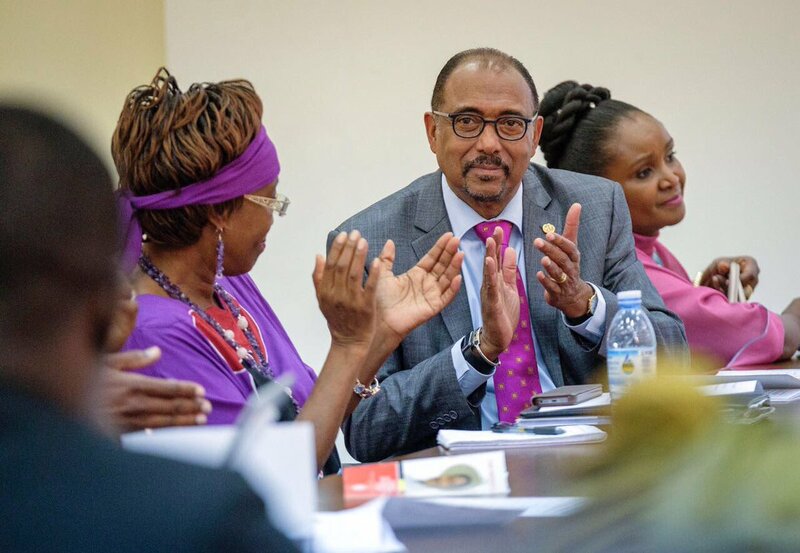 He also advised that we (Uganda) come up with a new narrative about HIV by linking it to issues such as maternal health, child health, cervical cancer and TB among others. He said we should stop treating HIV/AIDS in isolation because this is an old and tired story. The UNAIDS 90-90-90 target calls on countries to ensure that 90 per cent of people living with HIV diagnosed by 2020, 90 per cent of diagnosed people are put on antiretroviral treatment and 90 per cent of people on treatment have fully suppressed viral load by 2020.